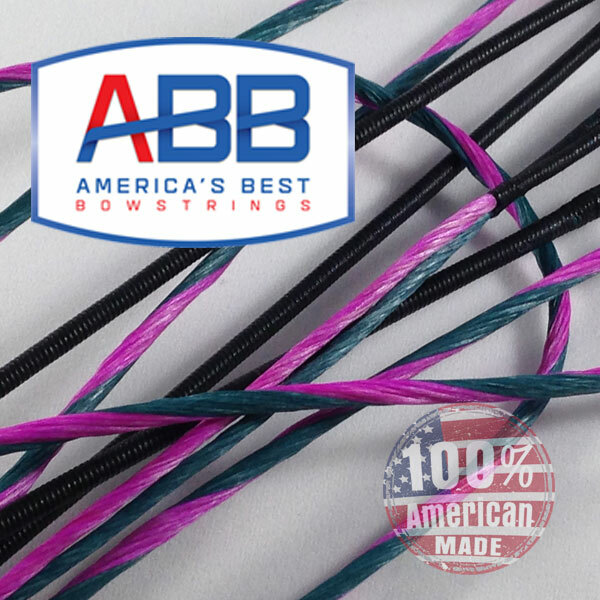 America's Best Bowstrings offers 3 unique series of ​bowstrings and cables​ for your Absolute 35 2018 compound bow by ​OK.​ The string is made to your compound bows exact specifications using the finest quality BCY fibers and ABB's advanced string building processes. These strings deliver amazing performance along with ​zero stretch​, ​zero peep rotation​ and ​no serving separation​ which allows you to shoot your best. Speed Nocks are installed (if needed) at all factory determined locations at no extra charge. Your string will have ABB's Ultra End Loops that fit better than factory strings. Our exclusive Power Grip Center Servings delivers better nock fit, more durability, and grips the string better which results in longer life. Start building your custom Absolute 35 2018 bowstrings using our advanced string builders. It is as easy as choosing colors for strings and servings, hit the order button and receive your special custom strings in just a few days. If you have questions or need help, give our string specialist a call at ​877-893-7155​. To get started building your Absolute 35 2018 string, just select a custom String series below and have fun!